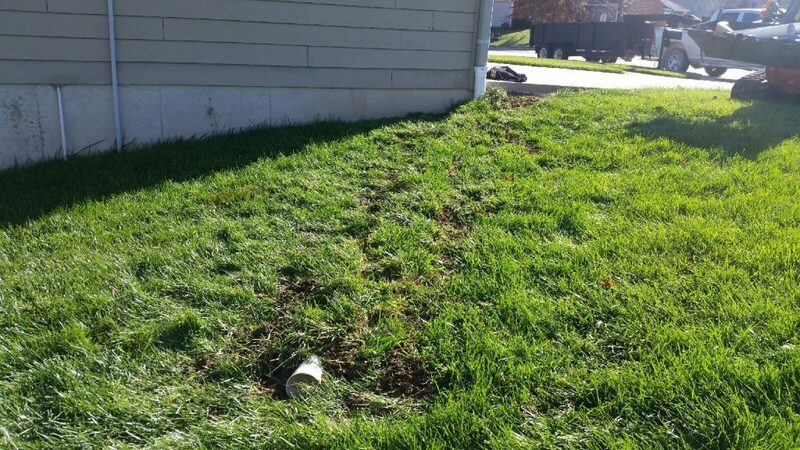 It’s important to get water as far away from your home’s foundation as possible. 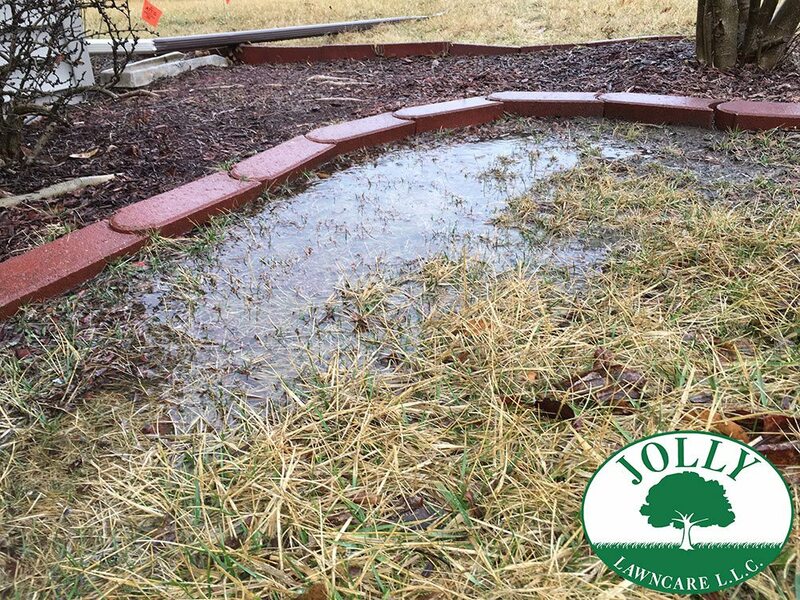 Downspouts which dump water directly next to your house’s footings will cause settling and foundation cracking. 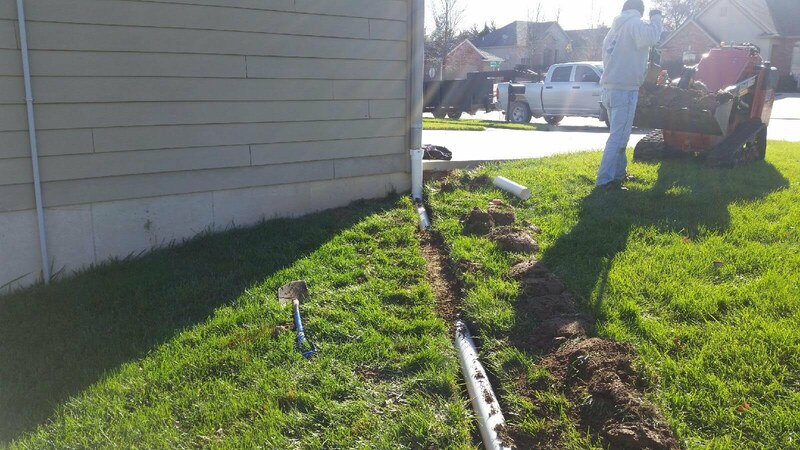 Properly installed rain gutter drainage must take water at least 10 feet away from the house, or farther depending on the grade and pitch of your yard. 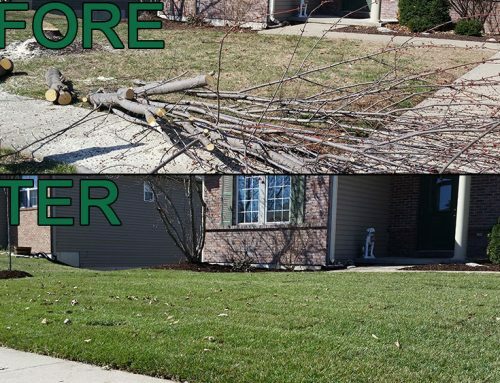 Contractor and Home Builder installed Rain Gutters typically dump out directly next to your house. 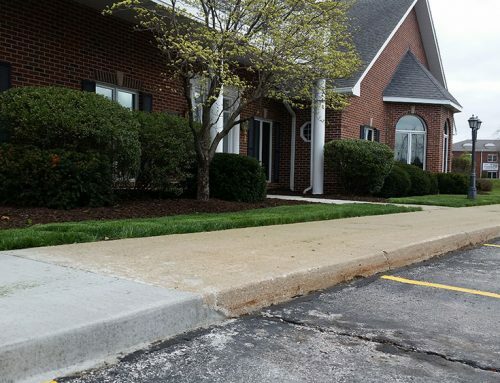 We use top of the line PVC pipe instead of the less expensive “perf pipe” or the black pipe you can buy at any home improvement store like Home Depot, Lowes or Menards. 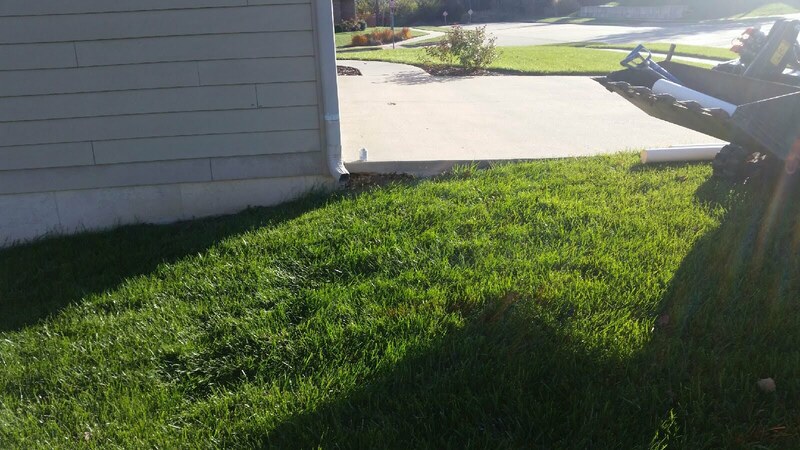 Solid PVC pipe rushes the water away from your home’s concrete foundation, depositing the water in an area where it can run off correctly or be absorbed back into the ground. Our trenches are dug at the proper elevation and pitch to carry the water away from your house and make sure no water stays near your foundation. 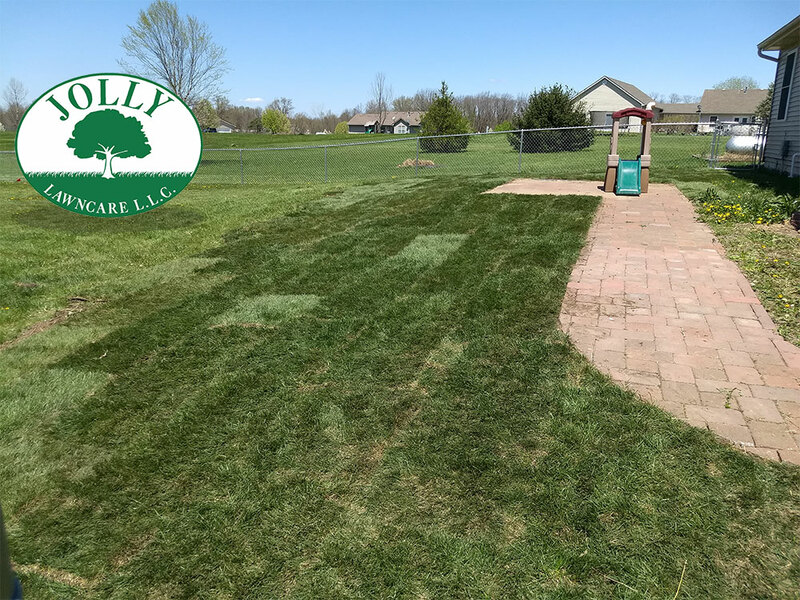 Jolly Premier Lawncare wants it to look like we weren’t even there after we’ve finished installing your drainage system. 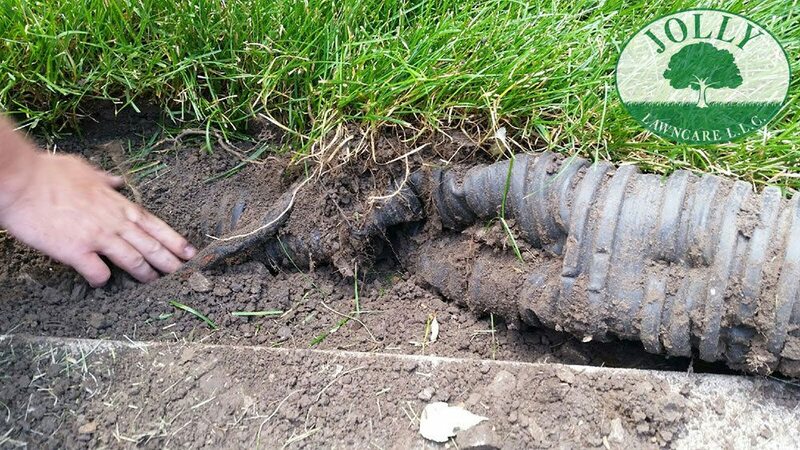 We either carefully dig up the top layer of sod from your yard, to then replace atop the trenched and laid PVC pipe. 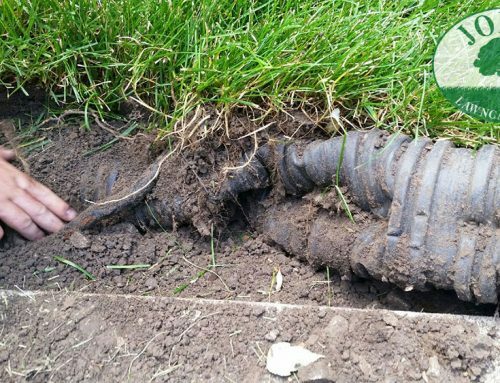 Or a more complete solution is to purchase professional sod to cover where we dug up to lay the gutter drainage pipe. 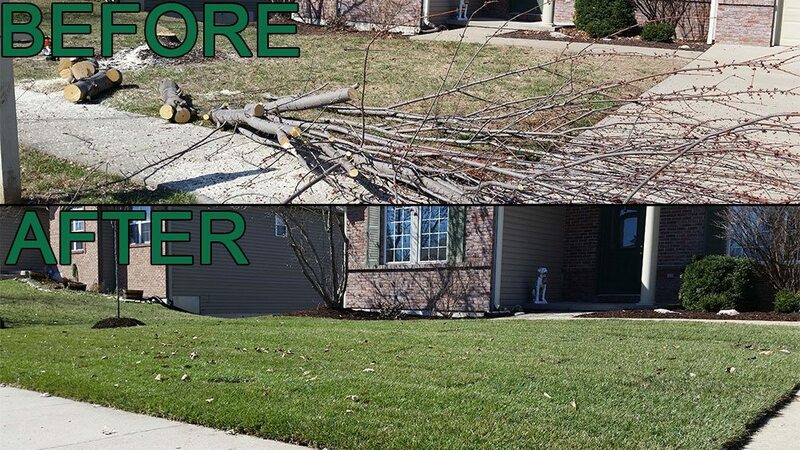 Either way, your yard will be back to beautiful and it will be hard to notice any work was done. Contact Jolly Premier Lawncare and Landscaping today to protect your home forever from harmful water standing against your foundation, causing expensive settling and foundation cracking. 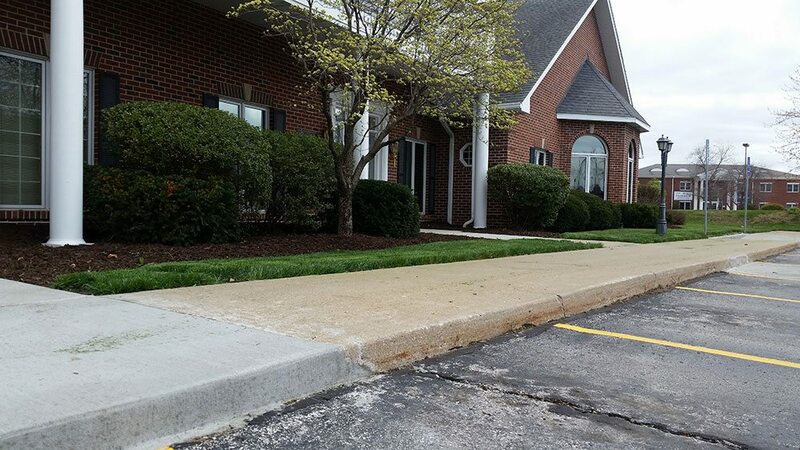 Spend a little with us to avoid spending a LOT on foundation recovery companies.